Power, that’s what sets the great minds, books and films are always talking about, apart from everyone else. But this term is very general, and Cart2Cart knows the way to handle this. You provide a fantastic product. The highest quality is your first priority. The perfect brand name draws attention. There’s no need to scream “Help” into the abyss. The challenge of choosing is the biggest dilemma that faces anyone who wants to build an eStore. You’ll want to be working with a system that’s robust enough to deliver years of dependable service. Thus, Magento - the leading figure in the world of eCommerce - may become your magic wand, redoubling the revenue and income in a split second. But whether you decide on going with this credible, powerful platform, the mission has yet to be completed. 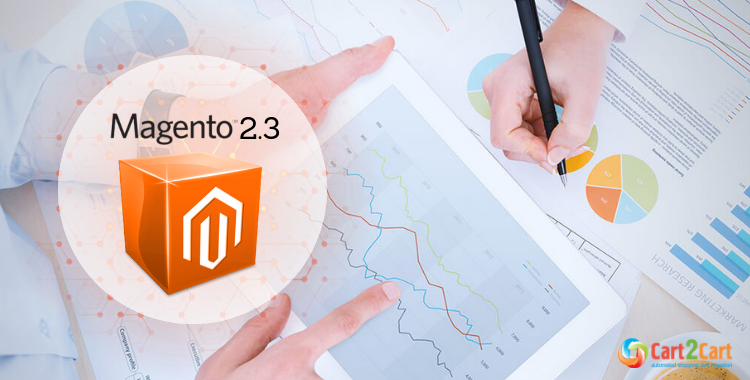 Magento versions amaze the users with a variety of features, benefits, functions and this is the complication. Have you ever heard about an embarrassment of riches, because this is precisely the sort of cause? How not to be lost in this diversity? Forget the hype and analyse carefully! Magento 2.3 review is represented to your attention! Amazon 3rd Party Sales Channel. Are you ready to take the full advantage of your online channel? Use this complete eCommerce open-source solution as a combination of the unbeatable function set, premium-class customer service, and unlimited flexibility at a fraction of the price charged by competitive platforms. Magento lets you do so much right out of the box even with the free Community Edition. It has excellent product management, comprehensive discounting options, multilingual functionality and more. The customisation can also be done to hook Magento into your CRM software, simplifying inventory management. Since this solution is so popular, there's a good chance that if you have a problem to solve someone else has already tried, and possibly succeeded, at solving it. There is a great plugin marketplace. Enriched with essential features and functionalities to provide everything in one platform, Magento is capable of integrations such as payment gateways and able to set up currency and languages due to the location. Options for building and managing all channels and experiences via one code base, one deployment and app. Intuitive user experience with innovative commerce and CMS theme. Tools to add local preferences and personalize content. Module component architecture to help drive opportunities for extension providers. Purpose-built developer tools for fast prototyping, helpful debugging, rich feedback, and increased productivity. Bearing in mind improvement of the default shopping experience, unlike Magento 2.2, Magento 2.3 provides users with Klarna integration. This payment system enhancement is a significant step in terms of customer journey optimisation. To simplify the instant checkout process, Klarna requires to specify address details only. Indeed, it’s not a zero-step checkout, but this provider also offers a payment within 30 days after delivery option. In case the customer is not satisfied with the purchased product, he can send it back without transferring any money. It’s a hassle-free way to save your time. 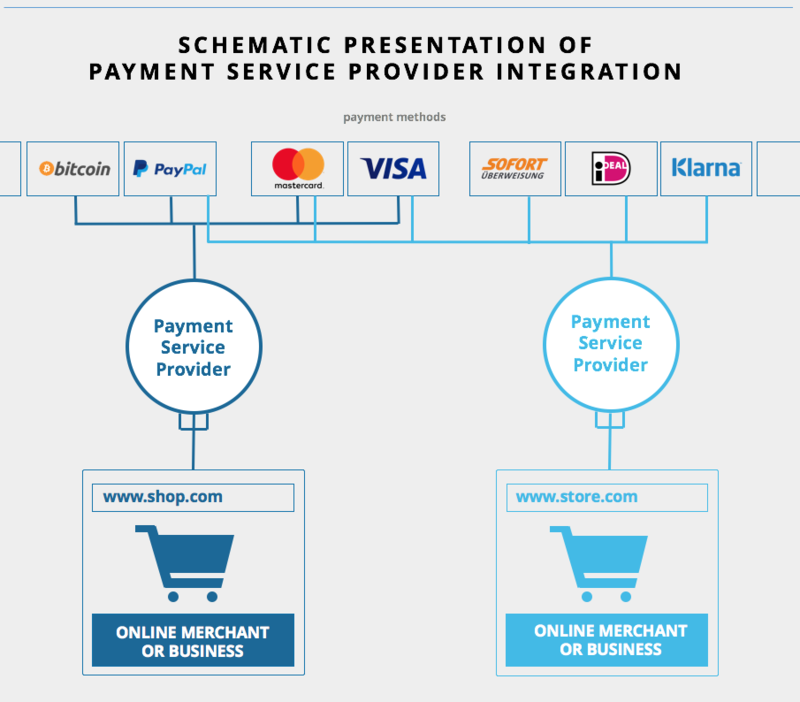 Klarna’s spread payment gives clients an opportunity to split a single payment into several parts, reducing a customer’s budget load. Since the provider is entrusted by 60 million customers all over the world, we guess so much loyalty and popularity can not leave you indifferent! Are you far from being tech savvy? No longer a problem. Finally, Magento enables merchants to create customised pages without having to write code in response to numerous requests using intuitive drag-and-drop Page Builder interface. In the recent past, Magento purchased the Blue Foot CMS technology from Gene Commerce and had made that available to its Magento Commerce merchants. Page Builder is a rewrite of Blue Foot CMS using much of the same foundational features and concepts. At present Page, Builder introduces a robust set of content types like images, videos, and banners; and instant preview capabilities that enable non-technical users to take control of their content. Now you can create new pages, enrich products and categories, and launch content updates quickly and easily without the help of a front-end web developer, having no programming skills, knowledge or experience. A message queue produces an asynchronous communications protocol, whereby messages/tasks are published into a queue, and the sender does not demand an immediate response for further processing. In the Magento 2.3 release Message Queue functionality had been reserved exclusively for Magento Community Edition. Consider this scenario, where there are few systems, integrating to the Magento application, and all of them requires immediate, intensive processing (for instance inventory import, order status updated from ERP systems etc.). Using the Message Queue, merchants can make it easy on themselves, to reduce the strain on the application by providing a system of queuing up tasks which need to be completed primarily. Message queues enable asynchronous communication between systems and have been extended from Magento Commerce to Magento Open Source. GraphQl is query API language. 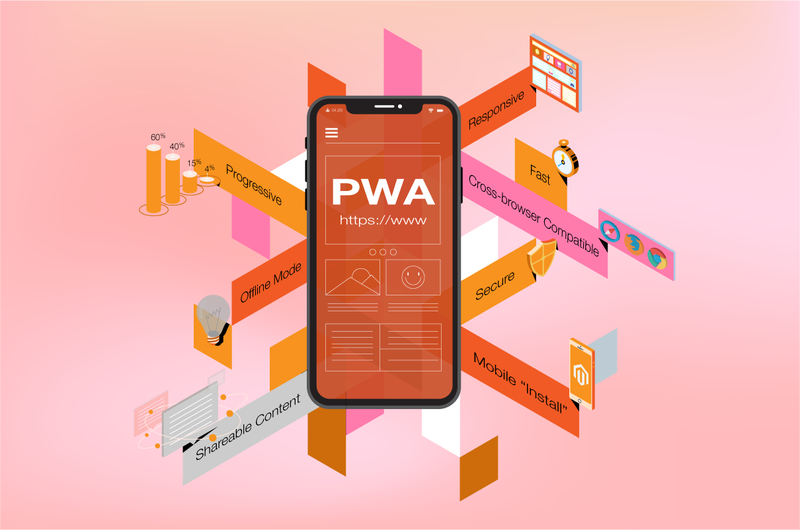 Taking into account the growth of PWA, it becomes necessary to find the tool for efficient transfer, getting the smaller amount of data, for making fewer API requests as well. It has the various number of features to stay one step ahead of traditional REST and SOAP API requests, as you define only the data which you require and also have the ability to join data in a single application. 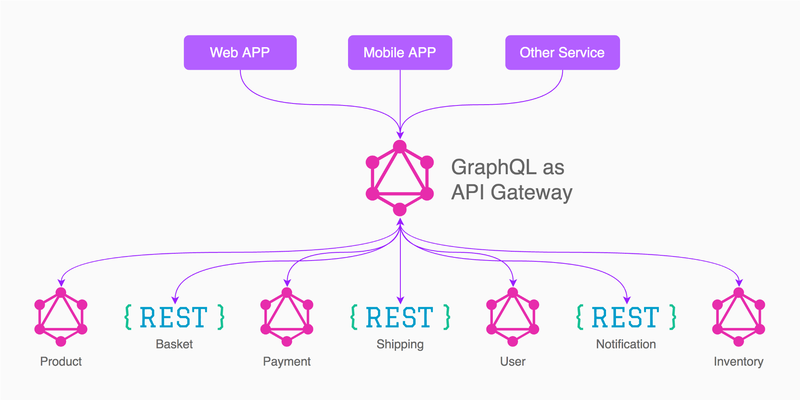 GraphQL’s query language makes this possible by allowing the requestor to request a limited subset of attributes to be returned about an entity (significantly smaller responses) and will enable you to chain requests (smaller number of applications). Magento 2.2 supports REST and SOAP API requests that use Service Contracts. However, to support GraphQL, Magento is writing an entirely new layer that interfaces to the Query API directly. The GraphQL implementation will be the underpinnings on how a PWA frontend will retrieve the data it needs. One more innovative approach, that simplifies installation and upgrade procedures is the declarative schema. Simply put, if you want to alter the schema of a Magento 2.2 database, the pattern used to accomplish this is to use the InstallSchema and UpgradeSchema classes where the code is written to alter the schema. Recurring Scripts, that are used each time you install or upgrade Magento. Declarative schema reconstructs the corresponding processes for both Magento and extensions, decreasing the need for many database scripts. The biggest advantage of this function is the ability to roll out database schema changes in patch releases which is impossible for previous Magento versions. Split and shared database structure validation is supported as well. Good news! 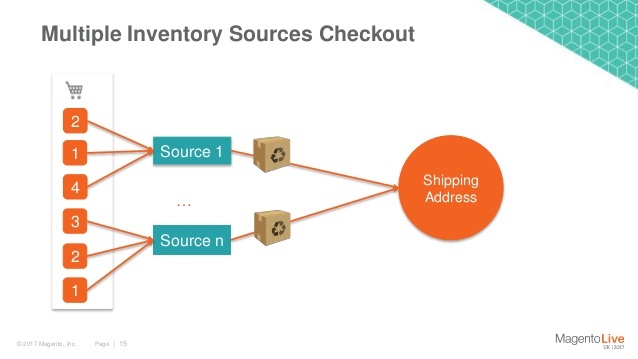 Multisource inventory management was implemented into Magento’s 2.3 core. Introducing this feature, Magento’s community engineering team aims to allow merchants to manage inventory via multiple sources natively. Use third-party inventory systems for integration. All the listed above features would not even be one-tenth of the value you may get deciding on migration to Magento 2.3. Moreover, Cart2Cart - your best go-to app and a magic wand - can perform the switch for you in no time, accurately, swiftly and securely. We support 80+ shopping platforms and can transfer your files from any of them to Magento 2.3. Try Magento import right now and start over! Having read this Magento 2.3 review, you should make a significant choice: are these recently added features important personally for you or no? Since speaking about their effectiveness, value and applicability is no more a question. But if you’re about to explode your Magento sales rates onto the world, you have to take some measures. And the best and probably the most rational and powerful solution is to upgrade Magento to 2.3. Its advanced functionality will become your essential tool when gaining new powers and opening broad horizons. Undoubtedly, this robust eCommerce market giant has on offer a lot, in addition to the above. Magento pricing is never gonna stop to please its users, Magento themes will never make you burst into tears, watching the result of your hard work on the design, and actually, there is nothing here, concerning Magento, that may disappoint you more or less. Perform Free Demo migration and see it for yourself! Your future is exciting, meet it halfway!